Directions: From Hans across the Water hike 300' around the left end of the crag till a low angled 200' flow is reached. 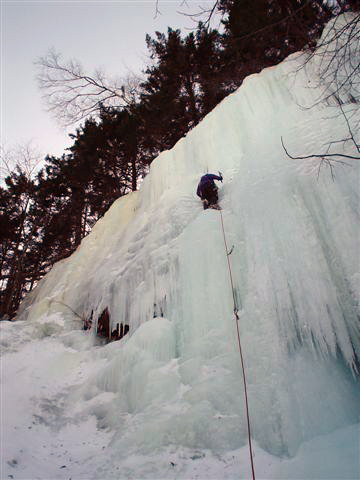 Pitch 1: Climb the flow (WI 2) to a hidden amphitheater in the woods above. Pitch 2: Climb directly up the steep sustained flow to the woods right of center.